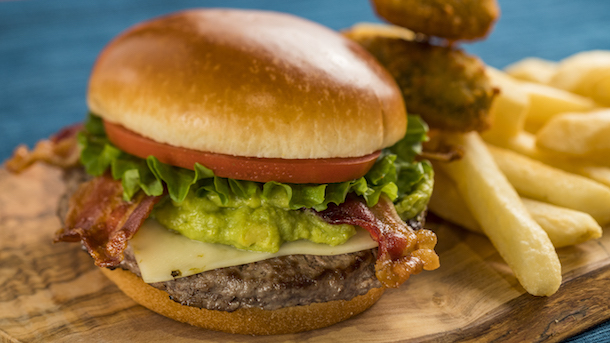 Recently, the ABC Commissary at Hollywood Studios has debuted a new dining concept specific to the location. In the past, the commissary has not traditionally been regarded as one of the more popular dining destinations at Hollywood Studios despite it's potential. The size of the location allows it to hold a large amount of guests, but it rarely remains crowded, especially by Disney standards. At peek times you may find the dining room full, but on an average day in the parks, don't expect a crowd like you would find at Starlight Cafe at Magic Kingdom. The new style of dining which has debuted specifically for dinner may look to change that lack of popularity in the near future. The new style is changing the former counter service walk up service to an order and delivery system similar to what has been found at Be Our Guest's lunch setting. Restaurant guests will go to the counter to order, then be given a pager to take to a table of their choice (assumably using a location based software). 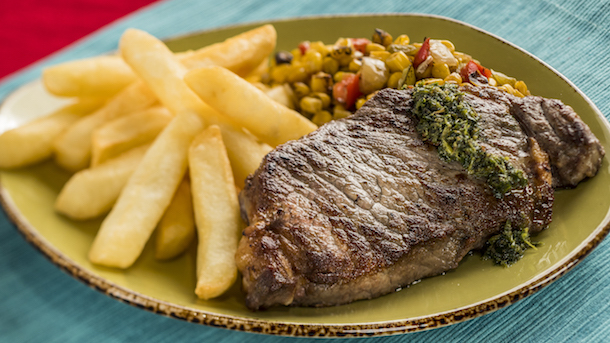 Once the meal is ready, a cast member will bring your order to the table as well as any other drinks or condiments you may need. In a way, it's a "fast" table service meal with a much more budget friendly price. "New appetizers include jalapeño poppers and pita chips with hummus. 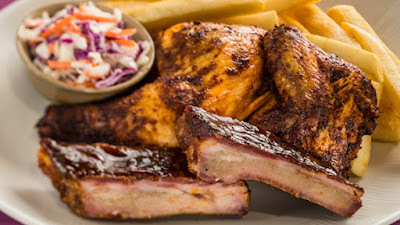 Fast-casual entrees include a juicy Chimichurri Steak served with a fire-roasted corn medley, hearty Barbecued Chicken and Ribs with coleslaw, and a Southwest Burger piled high with Pepper Jack cheese, bacon, guacamole and jalapeño poppers, all three are served with thick-cut steak fries." "Lighter options include a zesty Lemon Pepper Salmon, served with green beans and couscous and the Mediterranean Salad with tomatoes, onions, peppers, Kalamata olives and feta tossed in a Greek vinaigrette and topped with your choice of chicken or salmon. Kids will enjoy entrees like barbecued chicken, salmon or a burger." Many of these new offerings appear quite delicious! 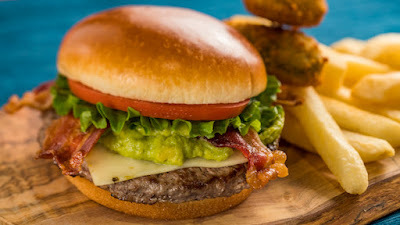 It's always good to see Disney trying new things and developing bigger and better menus for their dining offerings. Are you going to try the new experience? Have you tried it already? Let us know down below! Be sure to subscribe to our newsletter down below (on mobile) or to the right (on the full site) to be updated on our latests posts! Your subscriptions are what keep this website going!